How do you engage with new or potential divers? Aside from utilising your website, social media channels, store signage and most importantly word of mouth, expos are a great way to get exposure. Exhibitions related to your business may include dive festivals, boating shows or career expos. Participating in these can be highly beneficial to the growth and success of your business. Career expos are an excellent way of letting people know at a young age that a career in diving is a realistic and exciting option while giving those who already know they want to ‘live the dream’ information on how they can make it happen. 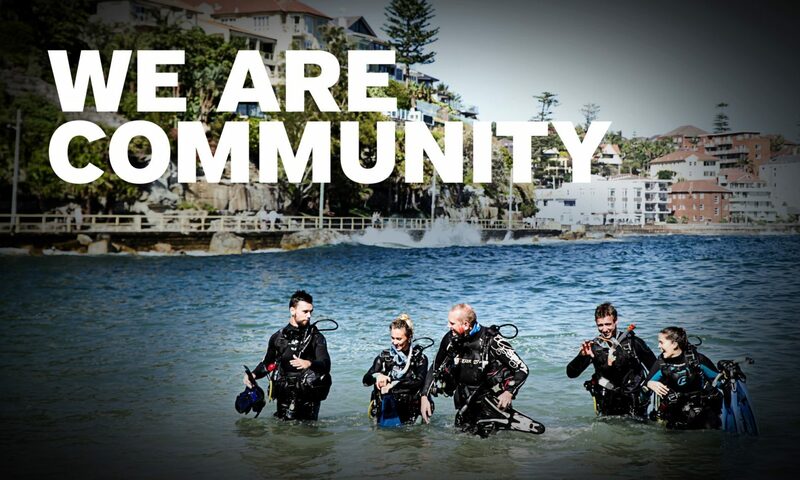 By engaging with these new or potential divers, you can utilise your industry knowledge and advise them on good subjects to take at school, what’s involved in becoming a PADI dive professional and the amazing career options available all over the world! For potential divers, you can even invite them to give diving a try using the PADI Discover Scuba Diving experience. Organising your participation at an exhibition is easy however it is important to make your booth stand out from the crowd! A TV screen on your table with PADI’s Go Dive and Go Pro videos on a loop can capture the attention and interest of the crowds who may watch and remain at your booth for a few minutes. This opens up a great opportunity to engage and start a conversation. At a careers expo, you can also make your booth more attractive with colourful PADI posters, banners and information brochures that can attract teachers, students and parents alike. Dive HQ Albany recently participated in a School Careers Expo on New Zealand’s North Shore where over a 2 day period more than 5000 people had the opportunity to talk about learning to dive and careers in diving. For further information, advice or assistance with participating in an exhibition, please contact your local PADI Regional Manager who would be more than happy to help.